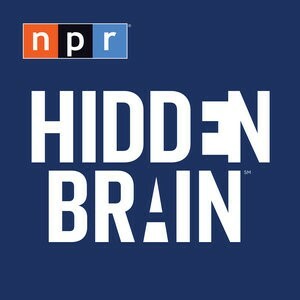 If you’re an NPR listener, you’ve probably had a chance to hear Shankar Vedantam talking about fascinating work in psychology with David Greene or Steve Inskeep on Morning Edition. For me, he’s one of the finest examples of a science journalist who cares about getting the science right, and his enthusiasm and genuine interest in the research are matched by his extensive knowledge of the field that comes from over a decade of covering psychology, reading thousands of papers and abstracts, and interviewing hundreds of psychologists. This Tuesday, Vedantam will be launching a new podcast, Hidden Brain (also the title of his 2010 book and his twitter handle). I recently attended a launch event for the podcast in Washington, D.C., and later spoke with Vedantam on the phone about his new podcast and his thoughts on the field of psychology. How did you get started covering psychological research? Originally I started as a brain and mental health reporter with the Washington Post and before that the Philadelphia Inquirer. Then about 10 years ago I did a story on Mahzarin Banaji and her work with Tony Greenwald and Brian Nosek on the Implicit Association Test. I quickly realized that this field was fascinating and that I wanted to cover it. How do you decide what research to cover? I read widely in the journals, sometimes as many as 200 articles and abstracts a week. Some of these become stories; others become background material. What am I looking for in a really great story? You can think of it as the point of intersection in a Venn diagram made up of four circles, and in each circle there is a question: (1) Is the research interesting? (2) Is it good research, in that it’s advancing knowledge in the field? (3) Is it rigorous? (4) Is it topical – and does it connect with people’s lives? The best stories fall right where those circles all overlap. Psychology is about people, but a lot of it is about people in the aggregate and, as a journalist, it’s often nice to talk about specific individuals. How do you balance that? No question there’s often a tension between telling a story of people on the aggregate and making the research accessible to people. In the best cases there’s a personal story that I can tell that helps illustrate the research, but that’s not always the case. I find that sometimes when journalists start with a story they really want to tell they can risk going off the rails when they lose sight of what the research says. I prefer to start with the science and see if there’s a story that fits with it. If not, then that’s ok, because the research is usually inherently interesting, even in the aggregate. One case where things worked out well, which you can hear in the third episode of the podcast (out in early October), is the story of one woman and her experiences with stereotype threat. There’s a compelling personal story as well as a robust body of research. How does the format of the podcast change what you are able to cover? Besides being able to go into more depth, we can also have some fun with things. For instance we’re doing a segment called Mad Scientist where we explain the contours of an experiment to a guest and get them to predict what will happen. This is meant to be a lot of fun, but we can also sneak in information about what scientists are actually doing when they design experiments. We can get people thinking: how we can change the experiment to test a particular hypothesis, and give them a feel for how the scientific process works. Are you sometimes skeptical about the research that you come across? Almost anything emphatic you could say about human nature is unlikely to be completely true. We’re clearly selfish sometimes, but also altruistic. We can often be compassionate, but at other times we are cruel. There is not one way to characterize all people at all times – people’s behavior is changed by the context, and people change over time and don’t always respond to the same things in the same ways. They grow old, they lose their job, they have kids – all these things can change the way they interact with the world. So I’m always looking for rigorous research, but I also try to make clear to my audience that research is provisional. For me a fitting analogy is that researchers are trying to make a better map, but ten years from now the map will be better and some things we thought we knew today will turn out to have been wrong. What is the motivation behind the new podcast? There’s a certain sadness that comes from doing this work and realizing that there are people out there with smart ideas, doing brilliant work, but laboring in obscurity. I often wonder: why isn’t this person included front and center in public conversations? Why aren’t they on CNN or in the New York Times? So this podcast gives me a chance to share my respect, admiration, and love for their work. I want people to understand that this is not just science taking place in a laboratory. It can change your life and make you a better person. Without making the research accessible to more people it’s like the tree that falls in the forest with no one there to hear it. If researchers want to share their work with you, what’s the best way to do it? I’m pretty accessible – you can find me on twitter. And I love hearing from researchers directly – I don’t have anything against press offices at universities, but researchers have a depth of expertise and really understand why the research is important, so I really enjoy hearing from them. The Hidden Brain podcast officially launches on September 22nd, you can subscribe to it here. Dave Nussbaum is the editor of Character & Context, the SPSP blog. He’s also Director of Communications for the Behavioral Science and Policy Association (read the new #policyshop blog here) and Adjunct Associate Professor of Behavioral Science and the University of Chicago, Booth School of Business. You can follow him on twitter @davenuss79, or email him here.